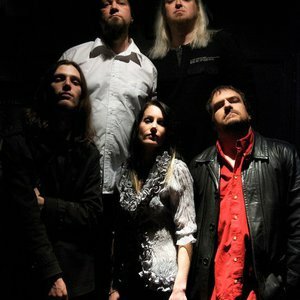 Cardiff based rock band The Reasoning features four times winner of the Classic Rock Society's Best Female Vocalist award Rachel Cohen, Tony Turrell (keyboards/vocals), Owain Roberts (guitar), Matthew Cohen (bass) and Jake Bradford-Sharp (drums). The band's 2006 debut Awakening included a guest appearance from Marillion's Steve Rothery and garnered worldwide critical acclaim. Dark Angel released in 2008 continued to expand the band's international fan base. In 2009 The Reasoning's first single, a cover of the Duran Duran classic The Chauffeur, reached No.2 in the Amazon Download Chart. band's international fan base. In 2009 The Reasoning's first single, a cover of the Duran Duran classic The Chauffeur, reached No.2 in the Amazon Download Chart. The Reasoning released their highly anticipated third studio album in April 2010. Adverse Camber, mixed by Joe Gibb (Leftfield, Massive Attack), demonstrates a new confidence and maturity. Whilst retaining their trademark sound; powerful vocal harmonies, strong melodies and dual guitars, Adverse Camber takes The Reasoning into new musical territory, appealing to a wider audience than ever before. The band have toured extensively throughout Europe and performed alongside Marillion and Fish on several occasions. In July 2010 the organisers of the inaugural High Voltage festival in London invited The Reasoning to open the final day of the event. Playing prior to the likes of Joe Bonamassa, Opeth and ELP, the band's performance won them many new fans. A limited edition album Acoustically Speaking featuring reworkings of tracks from their studio albums was promoted throughout the summer of 2010 with a series of acoustic shows organised by fans. A UK tour An Evening With The Reasoning is scheduled for November 2010 to coincide with the release of the band's first DVD. Highway to High Voltage will include live footage of the band's performance at the festival along with many extras. The November shows will feature both acoustic and electric sets from the band. The band have been featured in publications including Classic Rock, Record Collector, Powerplay and many others.